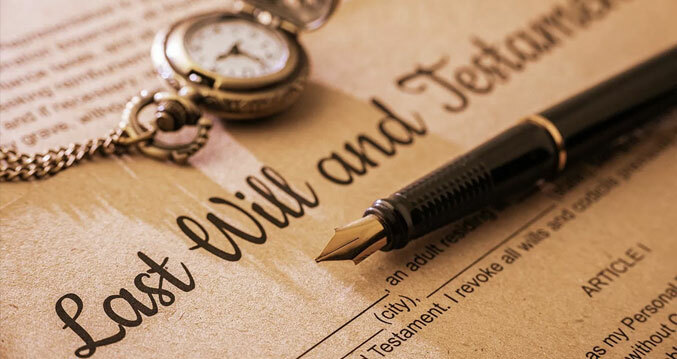 A Will is a legal document containing the wishes of the maker with respect to how assets belonging to the maker devolve to certain people known as beneficiaries and/or how the assets should be used for the achievement of certain objectives. A Will is Testamentary because its takes effect after the death of the maker who if he is male is known as Testator but if a female is known as Testatrix. Generally the making of a Will allows you to expressly document what you desire with regards to your assets after your demise such as disposition of assets to loved ones, making provisions for charitable purpose, executors or personal representatives of choice. A valid Will must be written and signed by the maker in the joint presence of at least two witnesses who must also sign the document. The testator/testatrix must when making the Will, have the requisite Testamentary capacity which entails being of a Sound mind and of the right legal age of at least 18 years or 21 years depending on the state in Nigeria. Persons who are subject to any custom or the Islamic Law should be guided by same when making a Will, provided that such customs or provisions of Islamic Law do not contravene the constitutional rights provided in Nigeria. Wills can be used to bequeath assets such as movable/immovable and tangibles/intangibles.